The new homes for sale in Henderson, Nevada offer turret foyers, courtyards, coffered ceilings, formal living rooms, gourmet kitchens with breakfast areas and Jacuzzi tubs in master baths. The $2.14 million Treporti model home has 4,842 square feet with four bedrooms, two half and four full bathrooms and a kitchen with a full size pantry. This is a two story home. One model home is priced at $2.15 million with 5,272 square feet. The Brindisi model is completely furnished and has an optional two story guest casita, full bath and a kitchenette. The dining room connects to the kitchen. The formal living room is separate by an oval foyer. The luxury home includes a studio, four bedrooms and 5.5 bathrooms. A moderately priced $1.9 million Vercelli model has 5,068 square feet. The furnished home has a turret entry with a private courtyard. An owner’s retreat on the second floor includes a luxurious bath with two walk in closets. The Vercelli has a casita, four bedrroms and 5.5 bathrooms. 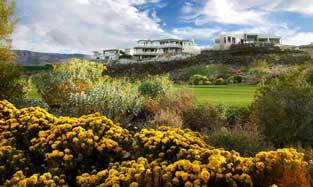 Fantastic views of DragonRidge Golf Course are available from the Toll Brothers homes. The Retreat at MacDonald Highlands real estate has three luxury model homes.